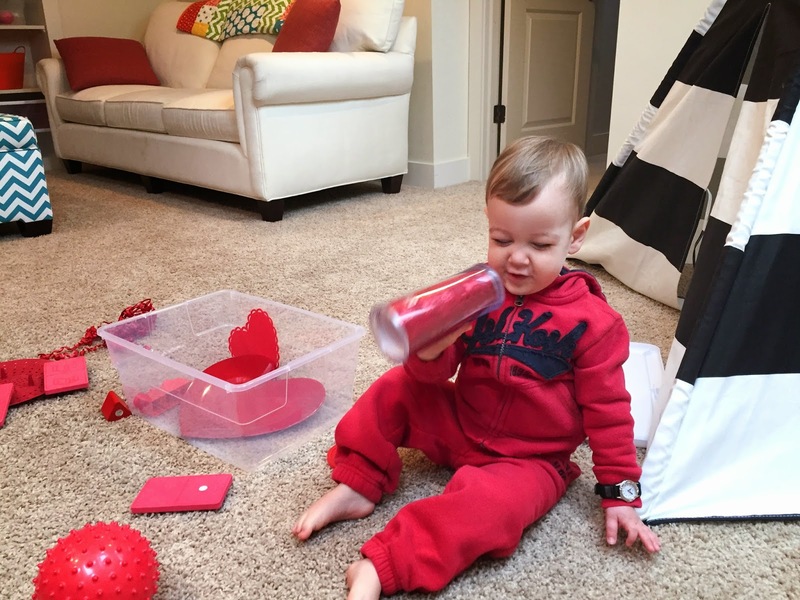 In tribute to February (the month of love), we are kicking off a series of "Color Weeks" here in the Klein House, starting with the color RED! 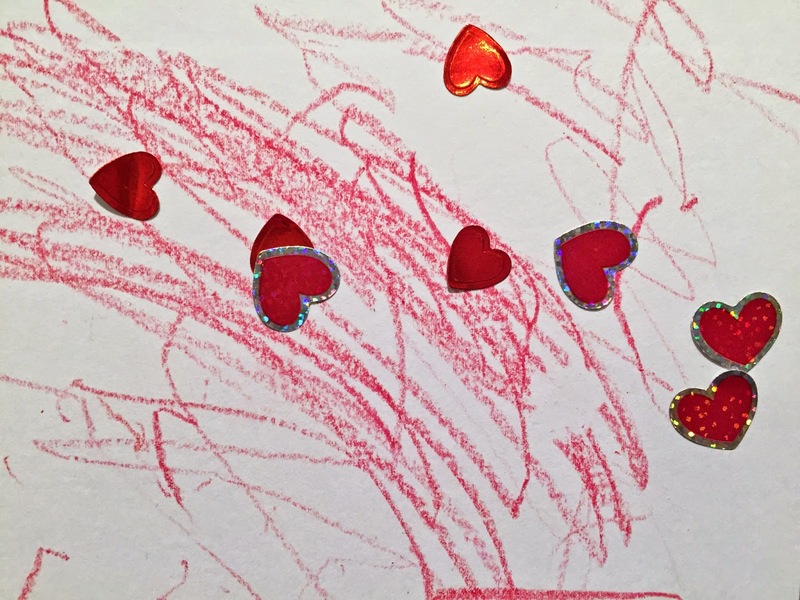 I've seen the idea of "Color Weeks" on several different blogs and on Pinterest - they basically all follow the same format for color study: a sensory bin or grouping of objects in the week's color, color themed foods, and a color themed art activity (all to accompany lots of verbal identification and conversation about said color). Parker is at a perfect age for this! He's been identifying some colors with some consistency for a while now (blue is his strongest, and he can also do purple and orange), but he will definitely benefit from more practice. Plus, it all looked like tons of fun! 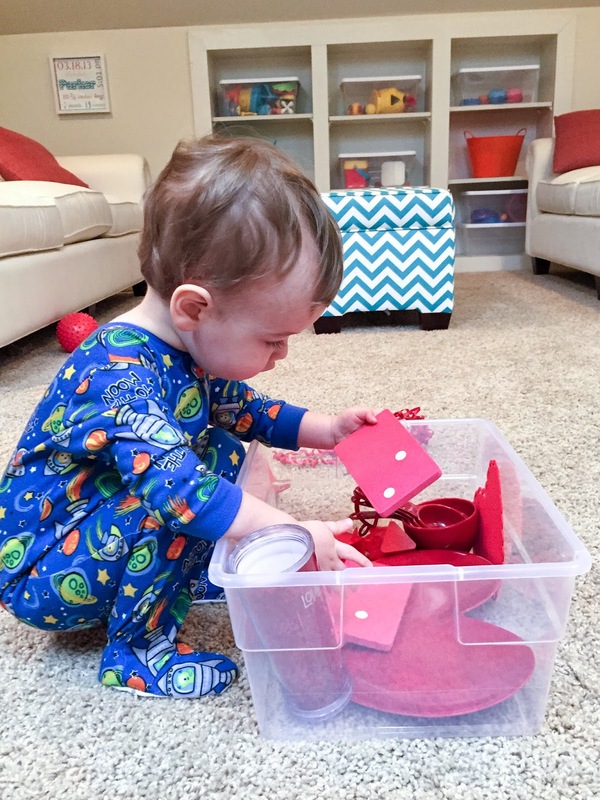 I got to work over the weekend just collecting red objects from around the house and the playroom for the red object box. Max even got in on it and added things, too! 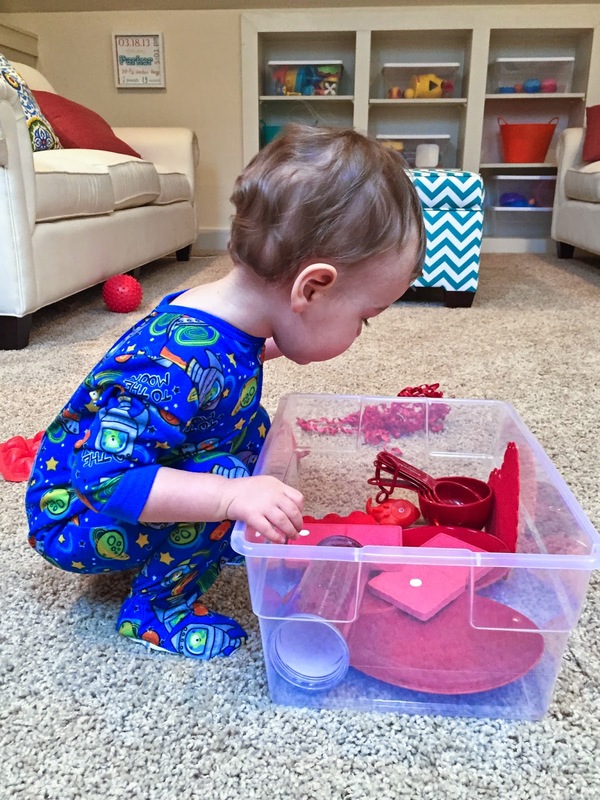 As soon as Parker woke up this morning, we headed out to the playroom and he got to open the box! 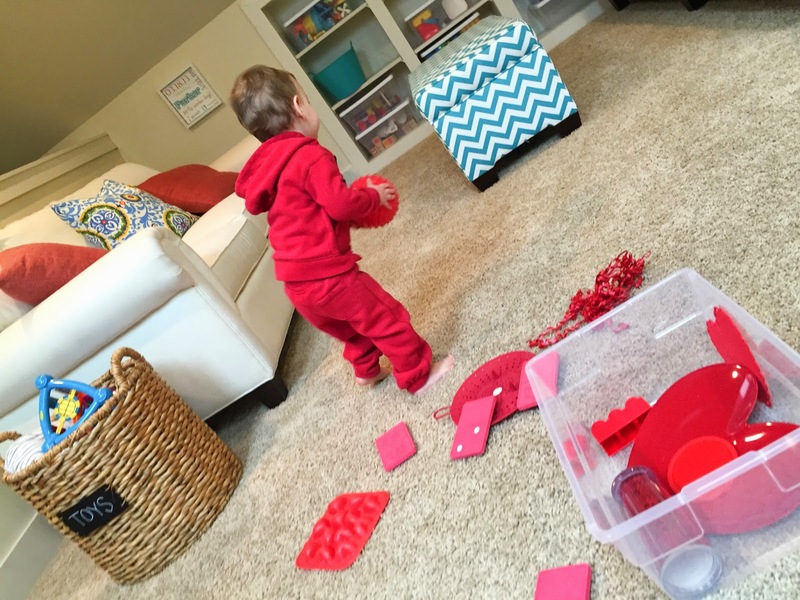 We talked about how all the items were RED! After breakfast and picking out our outfit (RED of course!) we returned to the playroom to explore more of our box. Little man also insisted on putting on his watch (a gift from Santa because Parker was obsessed with Mamma and Dada's watches). 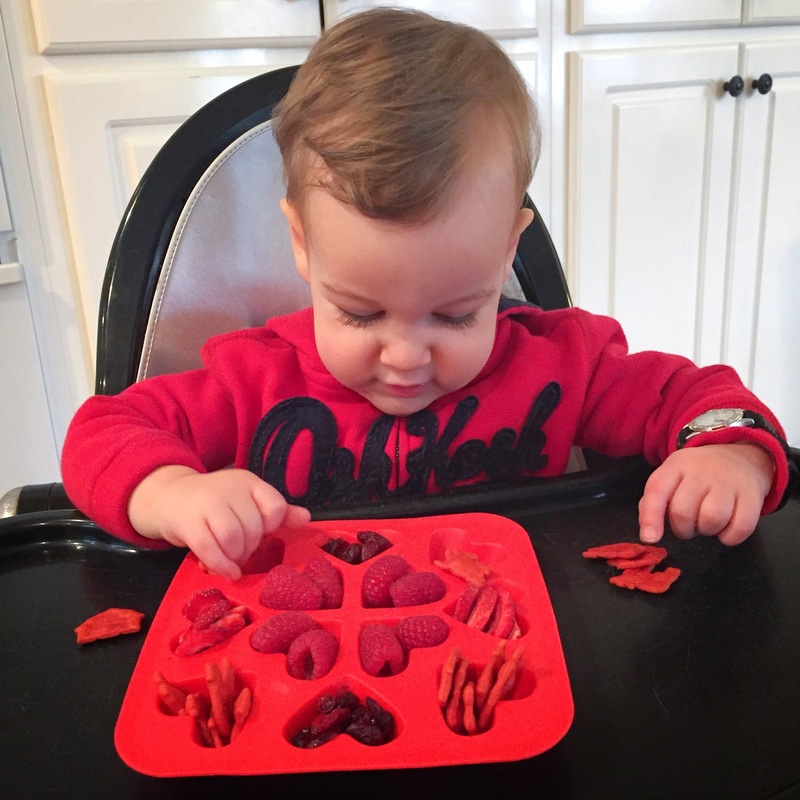 I put Parker's red snacks in one of the red silicone ice tray holders we have. 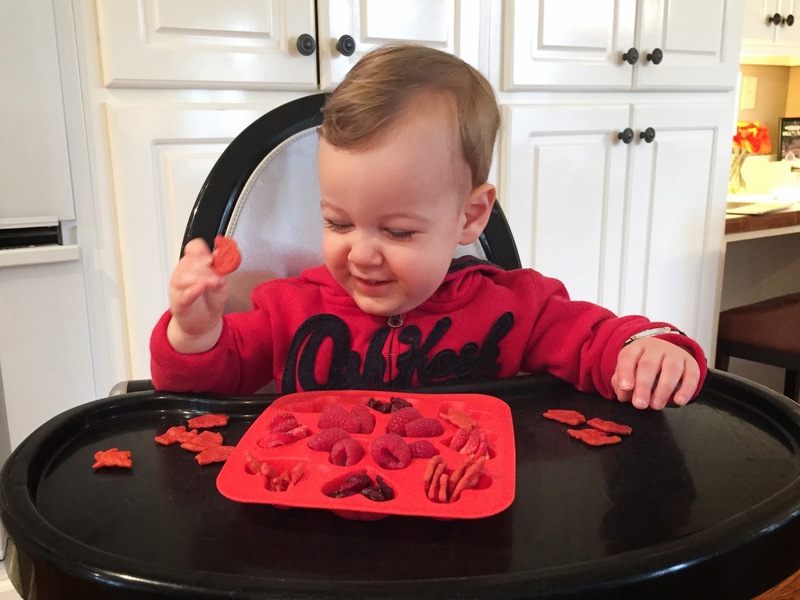 It just so happens that lots of P's favorite snacks are RED! 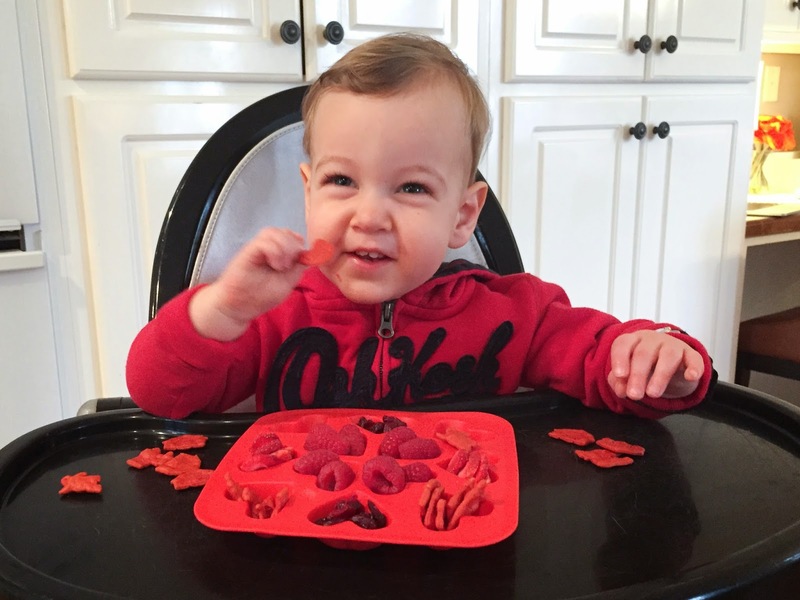 Raspberries, dried cranberries, red veggie crackers, and freeze dried strawberries, yum. Little man was twelve kinds of happy. Side note, where did his baby hands go? Those are big boy hands! Separate side note, we need more little silicone trays! They make snack time so much more fun. What a great idea. 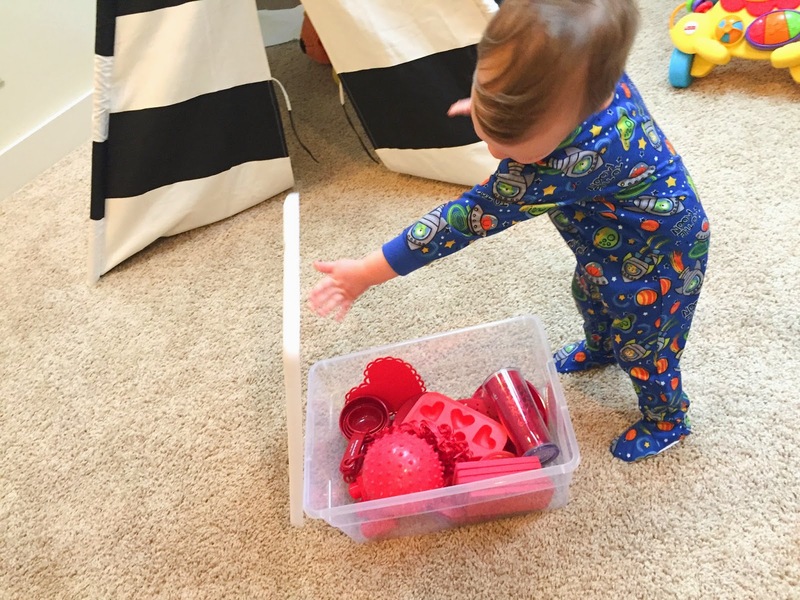 I've been wanting to put together a sensory bin for Ellie but have no idea how to start!! Love, love, love this idea! Where did you get the heart ice cube tray? 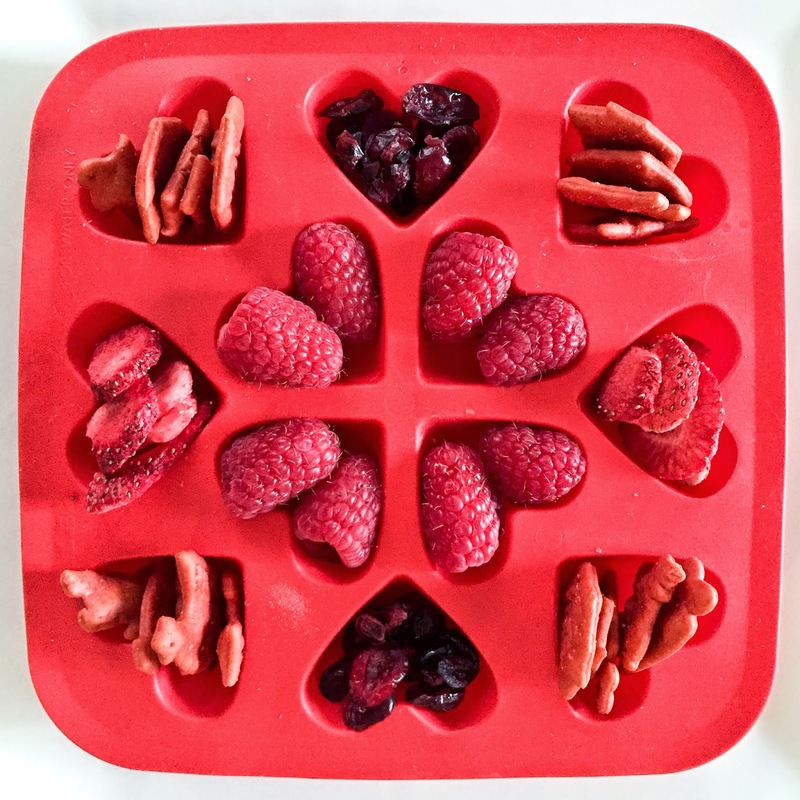 I need to get some fun festive silicone trays for snack time! Thanks, Leslie! The trays are from IKEA but years ago. I love them! There is a similar one on Amazon: http://www.amazon.com/Fairly-Odd-Novelties-Novelty-Flexible/dp/B00JRH8HBG/ref=sr_1_4?ie=UTF8&qid=1422992623&sr=8-4&keywords=heart+ice+cube+tray (or you can also find the exact IKEA ones on Amazon and EBay).